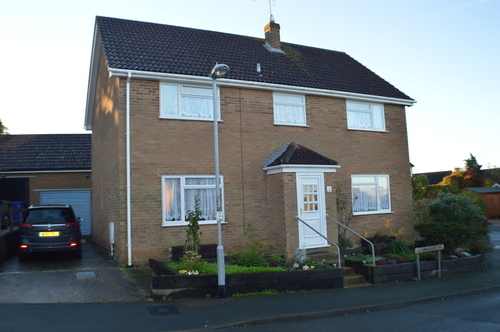 We are pleased to offer for sale this good sized four bedroomed detached family home, which enjoys a much favourable location within Haverhill, providing good access for the town centre. 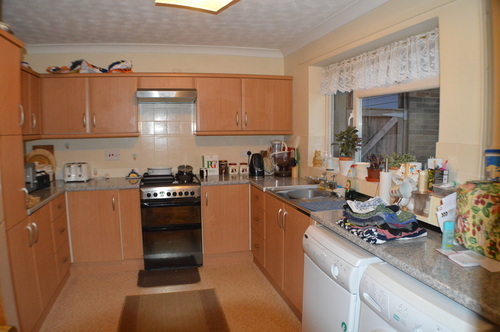 This 80’s built home offers great sized accommodation internally, comprising: Lounge, separate dining room large kitchen, cloakroom, master bedroom with en-suite shower room, three further bedrooms, family bathroom suite. 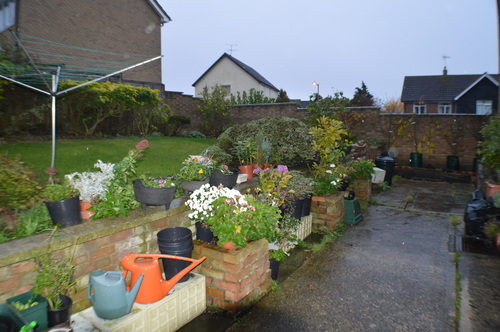 Other benefits include: double glazing, gas fired central heating to radiators, south facing rear garden, corner plot position, 7 solar panels, rockwool cavity wall insulation, garage and off street parking for two vehicles. 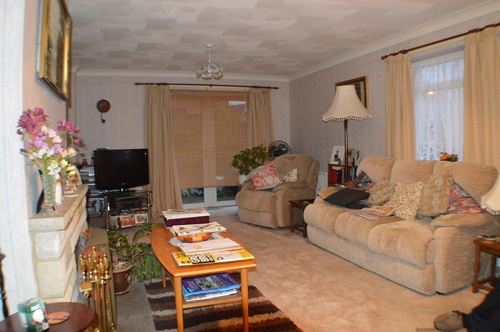 To fully appreciate this property an internal viewing is a must, by appointment only. Sole Agent. Low level WC, wall mounted wash hand basin with tiled splashback, radiator, coved ceiling, ceiling light point, rear aspect frosted double glazed window. Comprising: Single bowl single drainer stainless steel sink unit, roll top working surface with cupboards and drawers under, space and plumbing for washing machine, space for dryer, further roll top working surface with cupboards and drawers below, space for electric cooker, extractor hood over, eye level cupboards to either side, part tiled walls, power points, space for fridge/freezer, space for table and chairs, coved ceiling, ceiling light point, wall mounted gas fired boiler, radiator, rear/garden aspect double glazed window. Front aspect double glazed window, coved ceiling, ceiling light point, double radiator, power points, phone point. Dual aspect double glazed windows, double glazed French doors to the rear garden, coved ceiling, two ceiling light points, TV point, power points, two double radiators, brick feature open fireplace. Tiled shower cubicle with separate shower unit, shower curtain, low level WC, pedestal wash hand basin, half tiled walls, shaver socket, coved ceiling, radiator, coved ceiling, front aspect frosted double glazed window. BEDROOM TWO – 14’0 x 11’7 (4.2m x 3.5m) max points. Front aspect double glazed window, radiator, power points, coved ceiling, ceiling light point, built in wardrobe. Rear aspect double glazed window, coved ceiling, ceiling light point, power points, radiator. Rear aspect double glazed window, radiator, coved ceiling, power points, ceiling light point. Panel enclosed with mixer taps and shower attachment, pedestal wash hand basin, low level WC, half tiled walls, rear aspect frosted double glazed window, shaver socket, radiator, coved ceiling, ceiling light point. 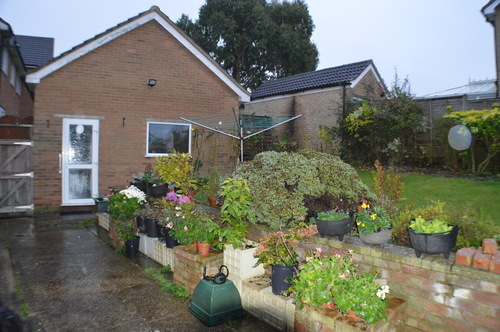 To the rear of the property is a fully enclosed rear garden that is mainly laid to lawn. From the rear door is a concrete patio area, then you have a raised retaining wall with steps up to the lawn area with sculptured borders housing an array of shrubs, evergreens and flowers. There is an outside tap, security lighting, and access gate to the side and front. To the side is a detached single GARAGE, which has power and light, double glazed window and side access door, up and over door. In front of the garage is ample off street parking for a couple of vehicles. To the front of the property are raised flower beds surrounding the property, made form sleepers, these house an array of shrubs, evergreens and flowers.